The best way to get your fibre is by eating a variety of fruits, vegetables and whole grains. If you ‘fall short’ in your fibre intake, Nature`s Answer - Liquid Fiber, offering 14g of soluble fibre per serving, can help you meet your fibre goal! Nature`s Answer - Liquid Fiber supplement provides a healthy dose of daily fibre in a delicious lemon-lime liquid form that is pre-mixed for your convenience. You can take it as is, or add it to your favourite smoothie or beverage. Other Ingredients: Purified Water, Polydextrose, Inulin/FOS (from Chicory), Acacia Gum, Maltodextrin, Potassium Sorbate, Natural Flavours, Citrus Bio-Pectin, Citric Acid, Sodium Citrate. As a dietary supplement take 2 tablespoons daily or as directed by your healthcare practitioner. 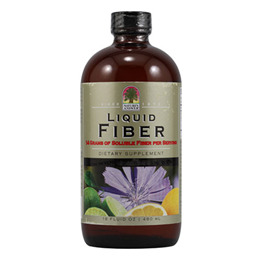 Nature’s Answer Liquid Fibre can be taken as is or added to any food or beverage. Always consume adequate amounts of water throughout the day when taking fibre products. Below are reviews of Nature`s Answer Liquid Fiber - 480ml by bodykind customers. If you have tried this product we'd love to hear what you think so please leave a review.